World Cup Preview – The Group of Death? And so we come onto the hotly contested ‘Group of Death’. Three of these teams possess a world class player each. 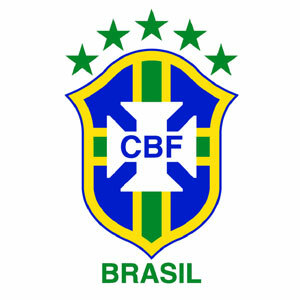 Brazil know everything about the World Cup, and now with manager Dunga at the helm they’ve managed to maintain a technically brilliant side and also strengthen their defence. Portugal made a meal of qualification and just about made it through the playoffs, but with Cristiano Ronaldo in their side, they should go far. 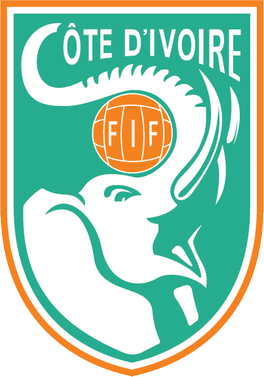 Ivory Coast are one of the stronger African sides, complete with a deadly front-line, but the injury to Didier Drogba could prove costly. Then there’s North Korea making their first World Cup appearance since 1966. Outsiders is a mere understatement here. No chancers is more appriopriate. Brazil have indeed created ‘the beautiful game’ as we know it. Five time winners and undoubtedly the kings of the World Cup. Renowned for stylish and creative genius, this Brazilian side could be considered the improved article. Why? The defence has finally been sorted out. In 2006, they looked sluggish and were shut out and knocked out by the French, mainly as Zinedine Zidane went on a 1998 style self-imposed rampage. Brazil haven’t had the best keepers over the years either but Julio Cesar has changed that. The Inter Milan man is up there with the best. His acrobatic skills are very impressive and he gets the ‘bread and butter’ right as well. Another side with the trusted 4-2-3-1, the jobs of Gilberto Silva and Felipe Melo are key. Set up the rest. The front four look deadly. Nilmar, Kaka, Ramires and Luis Fabiano are all certain to be dangerous. Luis Fabiano has made the lone front man role his own and has 25 in 38 for Brazil. Phenomenal and also my pick for the golden boot. Even the bench looks superb with Dani Alves, Grafite and Robinho all in waiting. Be fearful other top nations. I’ve struggled to find a weakness to be honest, but I guess one could be that some top players have indifferent club form. Kaka by his incredibly high standards has been fairly average at times. Robinho spent half the season being subbed at Man City but came back strong for Santos. If a youngster from the bench excels, Dunga should do the right thing and drop either. Might not be popular but the correct decision must be taken. I think Nilmar will excel at this World Cup if given the chance. I think if they were going to be eliminated it would be to a fellow South American side, mainly because Dunga’s strategy is very European, opting for a more direct style. Not that I’m saying the flair side badly either, but teams like Argentina could be their undoing. Can Fabiano overcome the goal drought? The Sevilla striker has been unbelievable for a few years now, for club and country. Out and out target man and both teams he plays in work their system around him. Consistently getting more than 20 goals a season, expect him to ravage his way to the Golden Boot, despite being in a goal drought at the moment. A master tactician who believes in defensive strength. Not exactly popular with natives for the change in style but you can’t argue with results. Clean sheets throughout qualifying, decent front men, Dunga’s formation and line-ups is fairly spot on. Considering that Ronaldinho and Pato both failed to make the squad, for one reason or another, it shows the talent Dunga has at his disposal. PREDICTION – I’ve got them down as winners. A perfect balance of style and substance. Portugal are a perplexing side. They have some great attacking players yet struggled to find goals in qualifying. They don’t have many great defenders, unlike previous years and managed to perform fairly well in that department. After recovering from the group disaster and qualifying in a play-off against Bosnia-Herzegovina, they will have to vastly improve if they are to repeat the run of 2006 and a best finish of 4th at the World Cup. Quieroz has certainly divided opinion with his selection and tactics at times. Cristiano Ronaldo has been one of the best attacking players in the world for a solid three years at least now. He mesmerises players with his step-overs and bamboozles keepers with his swerving shots and free-kicks. Possibly the most complete package in world football. Remains to be seen how Quieroz will utilise him. Could be on the left or right wing or even up front on his own. Personally, the further out wide he is, the more he can run infield and cause havoc. Portugal have a decent centre-back pairing in Carvalho and Bruno Alves, with Pepe acting an intermediary like Rafael Marquez did in Mexico’s opener. All three are very strong defensively. Quieroz has angered players and the team may not act as a cohesive unit. They lack strikers as well, with Liedson being the best candidate, and he’s indifferent at times and doesn’t scream star quality to me. Why Duda is ahead of the excellent Fabio Coentrao at left-back is beyond. The weakest part of the national set-up is the manager and it will have to be amended come the end of the tournament. Injuries have hampered their preparations with Nani being the latest casualty, and they’ll miss his delivery greatly. A dynamite midfielder who can create something out of nothing. Amazing that he hasn’t found himself at a bigger club in his career but he’s one of the most effective players in Spain certainly at the moment. Fabulously good at free-kicks (although he won’t take any here) and has a fierce shot on him too. Was a great No.2 to Sir Alex Ferguson at United, but he’s found the step-up to management tough. His spell at Real Madrid was forgettable. Only No.2 to Domenech in the Unpopularity Stakes. He could be the reason behind failure here. Before the draw, I certainly thought that the Elephants would do very well. It is a tough task ahead of them especially with Didier Drogba possibly missing. But they have some gems deep within their squad and should provide tough opposition to the other two big teams. The front three is absolutely superb. We all know how well Didier Drogba did this season at Chelsea, but people forget that Solomon Kalou finally found his feet as well and excelled. With those two players knowing each other so well, it could inspire the rest of the side. Keep an eye out for the right winger in their 4-3-3 system, Gervinho. Super pace and also very creative. The defence isn’t too bad as well but could find it tough against the other two teams. Kolo Toure and Steve Gohouri are both capable of good performances. Having said that, other defenders are liabilities particularly Emmanuel Eboue, who would be better off further foward like at Arsenal. Sol Bamba is another example. The Drogba injury could put an end to their chances as he’s that important. The typical anchorman who will be called upon to get the team motoring. He’s been in and out of the Barca side this year but his quality in undeniable. Superb tackler as well, just the sort of player Arsenal need. Newly installed meaning the Tinkerman has yet to gain any form or cohesion from his players. Not had time to do a lot in his tenure but he knows what the World Cup is like after taking England to the quarter-finals in 2002. PREDICTION – The Drogba injury is going to cost them. Group stage exit. I am not bothering to a North Korean preview mainly for two reasons. 1. I haven’t the absolute foggiest in regards to North Korean football. If I tried to make a half-arsed preview about a side I know nothing about at all. The football team is shrouded in secrecy much like the country itself. 2. I don’t expect them to pick up a point, so I will be merely wasting my time talking about strengths when they will be outclassed. But what I have decided to is put this link of them visiting the zoo. And also put a picture of the most glorious dictator, Kim Jong-Il. He once claimed 9 holes in one in his first game of golf. ﻿I’ll let you get back to hearing the swarm of mutant bees throughout the games.